Bookings are essential for be first in for the FREE party balcony. A Freddo ice cream cake! Any party needs to be booked one week in advance, allowing time for staff to prepare. Available times for bookings will be listed online. Outside food is permitted. Feel free to bring all the ingredients you would like to make for a perfect party. Please think sustainably; avoid disposable plastic tinsel, disposable plastic bags and disposable plastic plates. Instead you can choose non disposable plastics like Tupperware containers, picnic utensils, recycled paper plates etc. Every single piece of plastic not in the ocean can save thousands of animals. Don’t have the time to source out a cake? Not pre-included in your package? Not to worry, they can be purchased here for $18 (subject to availability). Cake: Freddo icecream party cake! Triple layered icecream cake with real teeny Freddo Cadbury dairy milk chocolate pieces. For a bargain price of $10 each! Bookings essential. Online Booking form available in the link below for both Parties or Social Groups. No need to pay up front unless you wish to reserve the Party Balcony. Booking fee $50 (to secure the Party Balcony). Cancellations under a week from the party forfeit the booking fee, otherwise it will be discounted off the payment on the day. Customise your very own Party Invitations! Check out our new Party Invites. 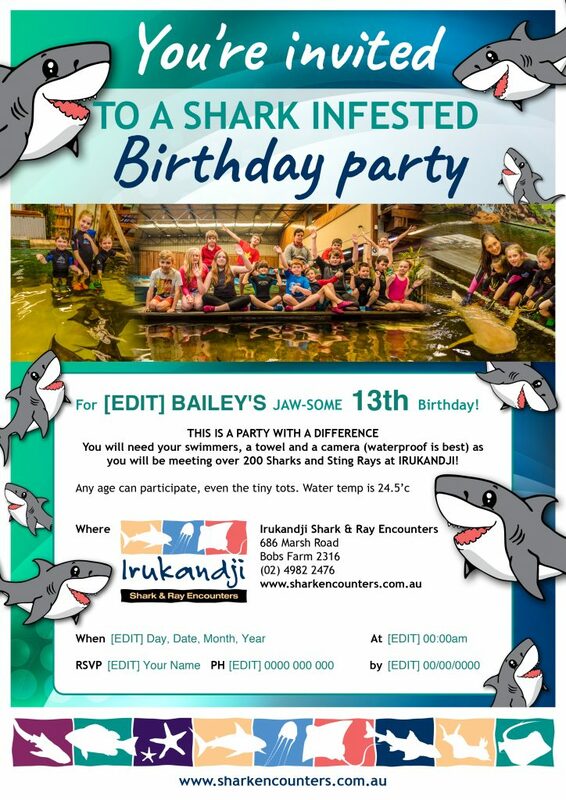 With two options available you can print the Invites and fill them out with pen OR you can pre customise the editable PDF version with all the details and then send it via the web to help save the environment! Scroll down to select desired option. Customise this invitation then send via the web to save the trees! Or print this Invite, fill it out & Post in the mail.